The attorneys at our law firm hold employers accountable for violating both employment laws and the rights of their staff. An employee's hard work can result in an employer working equally hard to underpay or refuse to pay. Offers of cash, disputes over citizenship, and claims of exempt or management status are often used to avoid paying minimum wage and overtime. In addition to employment law cases, we also handle business and commercial law and general practice matters that involve contracts, trade secrets, unfair competition and collections. 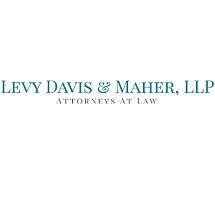 The lawyers at Levy Davis & Maher, LLP, provide free initial consultations at their office conveniently located in the Wall Street area.